This past weekend in the UK, a new documentary was shown on television called "John and Yoko: Above us only Sky." Once all of my Facebook friends saw the documentary, they jumped online and couldn't stop raving about it. Luckily, the film has been "leaked" online to those of us outside of the U.K. and so tonight I sat down and watched it. Above us Only Sky goes right along with the Imagine box set that was released earlier this year. It shows the making of the entire Imagine album. 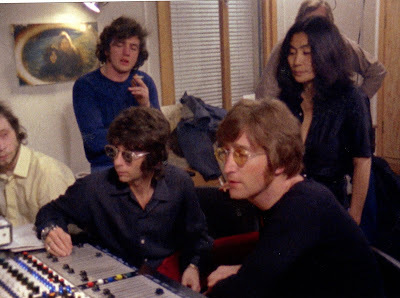 A lot of the footage is obviously taken from the film that John and Yoko were making called Imagine. We have seen a lot of this footage before. The 1988 Imagine documentary, numerous videos Yoko made for John's songs over the years, Gimme some Truth, etc. However, countless hours of footage was recorded during that time in 1971, and we haven't seen it all. Many of the things shown in this documentary are NEW to Lennon fans around the world! It all starts with John teaching George the song "How." John sitting at the piano and sharing with George this new song will make you smile. Most of this footage was shot in and on the grounds of Tittenhurst Park. I enjoyed the footage of young Julian playing in the pool and in the gardens mixed with him telling his memories of his time there. However, Julian says something towards the end of the film that is just heartbreaking. All of the footage from the recording sessions are great. Klaus Voorman gives his memories and so does Alan White, Jim Keltner and others that were there. The footage of Jealous Guy was my favorite. I am sure all of you will enjoy learning more about Claudio, who is famous for being the hippie guy that meets John outside his house and then gets invited in for breakfast. There is extended footage of that and a little background of who the young man is and why he was there. 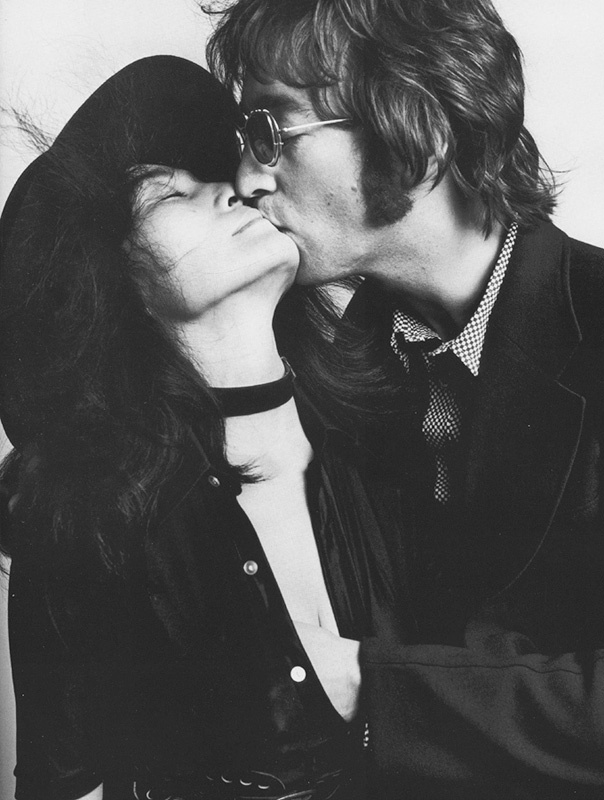 They show May Pang watching John and Yoko passionately kiss each other while John's hand is on Yoko's breast. It is just so bizarre to see May Pang during that time (even though we know she was working for them during this time) because, in just a few years, John would be photographed kissing her! There is some film of them in New York in 1971, including shots of the infamous "clock" at the St. Regis Hotel. I have the bootleg audio of "clock" and always believed that none of the footage of it survived. But there it was in this documentary! Fair warning to those who love John Lennon -- this is an emotional film and they don't' even go into John's death. I am not a huge Yoko fan, but I do appreciate the love John had for her and it is shown in this documentary. Yoko gives the reason why she believes she met John and it is pretty amazing. Look out for this film because it is one of the best John documentaries pertaining to his solo years I have seen since the NYC one from several years ago. How can I watch it outside the UK?